following link to arrange a convenient time for a free consultation. The SPF industry has had its challenges with severely under experienced installation companies that are in many cases simply not trained or certified properly. The industry's response to these issues was to form the Spray Polyurethane Foam Alliance (SPFA). The SPFA has deployed a stringent training, standardization, and certification program to mitigate many of the issues consumers have encountered. EcoCentrix Solutions has focused a substantial portion of our resources towards ensuring all of our installers are SPFA Certified. Our advice to anyone shopping around, please ask if they are SPFA Certified and request a copy of their certifications. If they are not certified we advise that you seriously consider looking elsewhere. Family owned and operated, EcoCentrix is run by native Houstonians. 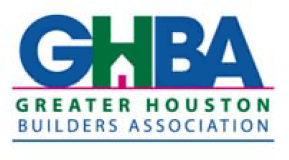 We serve the Greater Houston Metropolitan Area and are members of the Greater Houston Builders Association, Texas Association of Builders, National Association of Home Builders, US Green Building Council, Energy Star, and the Center for Polyurethanes Industry. Our Texas roots define who we are and how we operate. Respect, Responsibility, and a true commitment to Integrity are each Texas values that guide our way of doing business. It is important that EcoCentrix is align with organizations that have a direct influence on the innovation and advancement of SPF products, those that champion green energy standards, and above all, organizations that uphold the consumer’s best interest.